In my study of John Lee, a Daviess County, Mo., pioneer, I am reminded again and again of Huck Finn, and what he could have been like in later life. John, like Huck, was a Mississippi river “rat,” orphaned and unschooled. 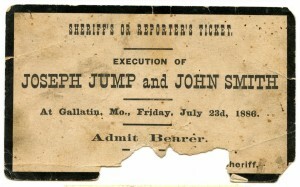 John Lee’s adventures in Missouri in 1836-38 may have changed him greatly. In 1839, Judge Lee was off on trips as a missionary. 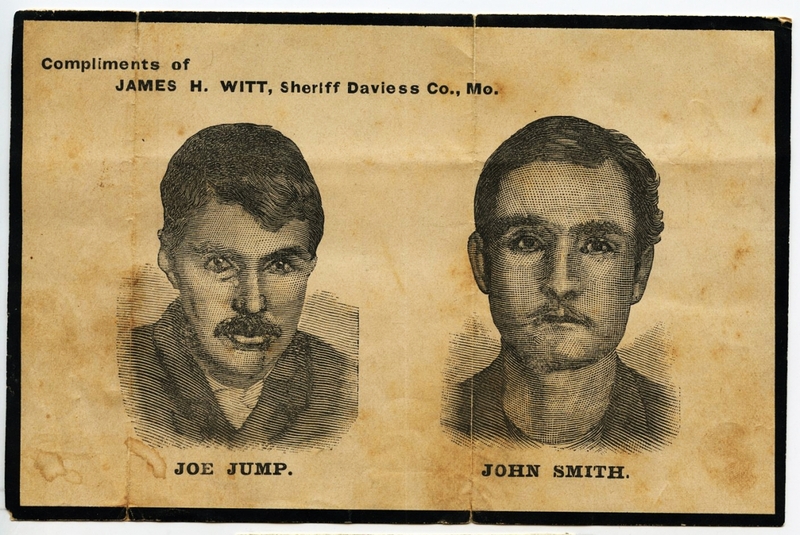 “He reports a number of prophetic dreams and visions assisted him in his conversion of others.” In Illinois, Joseph Smith Jr. selected a company of 50 men to be his personal body guards and Lee was number seven selected for that work. Lee was given a special white uniform to use in the Nauvoo (Naveh) Hebrew Legion. Lee marched closest to Junior when the Legion was on parade. Judge Lee made his living by force collecting tithes from reluctant givers and keeping a commission on that work. 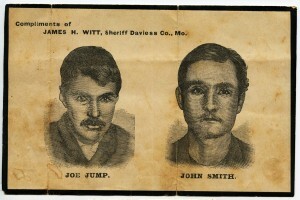 Smith had changed the equal share policy in Missouri July 8, 1838, to 10 percent of all crops, increases, sales, etc. was payable to the church as an extra legal tax. Records were kept in secret on all members activities, business and who paid and how much. Late or disputed payments were given to Lee to collect. Lee also worked as a night guard at Smith’s house and watched church members to develop intelligence reports for Junior. Lee was among the first half dozen to be allowed to take a second wife. Young became a bigamist in June of 1842 but church approval by revelation wasn’t until July 12, 1843. Lee took three more wives in 1845, but number three was sold to Brigham Young in April of that year. This was Emmeline Lee, whose sister remained married to Lee. Thus Lee and Brigham Young were brothers-in-law. Young took one of Smith’s wives in April 1841 after Young’s first wife died. Young later married five other wives of Joseph Smith Jr.
Judge Lee was married by Young, at Council Bluffs, to three the same night in 1847. The three were his two sisters-in-law and his mother-in-law. When Lee died he had 19 wives and 64 children. Fifty-four were alive in 1901 when the last count was made. In Naveh, Lee lived well and had enough unspent ($5,000) to build one of the nicest houses in Naveh even though his wives and children caused some substantial expense. There was no indication that Lee was involved in the fraud of stealing in Illinois that helped to start the Mormon War at Naveh. Judge Lee “rose rapidly in favor with the Mormon leaders, holding important municipal and ecclesiastical offices. In 1839 and 1841, he served as a missionary. In 1843, Lee became a Mormon mason and like others in the spring of 1844 served as a campaigner for Joseph Smith’s efforts to become president of the United States. When Smith was murdered, Lee returned to Naveh where he soon transferred his loyalty to Brigham Young and served him until both died in 1877. Smith was murdered on June 27, 1844, and those responsible were not tried. This caused allŠtime dislike for the United States government which still persists among the Mormons. The Old Testament policy of blood atonement (Heb. 9:22, Lev. 17:11 and Gen. 9:6) came into effect at Naveh and this was in effect, requiring Danite enforcement actions for unrepentant sinners. This job sometimes came to Judge Lee for results, and is why execution by firing squad was continued in effect in Utah. Lee became Young’s “adopted son” at Naveh. I suppose that this was another secret order. During the Mexican War, Young got 500 plus Mormons signed up for six months service and Young got all the initial clothing allowances, $24,000, and the pay checks for the first three months, “$50,000. Lee was the one to go to Santa Fe to get the pay checks for Young’s use. The Mormon army went on to the southern route to California without pay or uniforms. Young also collected most of the soldiers’ final pay after their services ended near L.A. Lee was in the secret “The Living Constitution of the Kingdom,” formed in 1844 as a shadow government which persisted into the 1870s. Lee was also a member of the “Council of Fifty,” from 1844. In Utah Territory, John Lee settled in what became southwest Utah, in Iron County. He was selected by Young as Probate Judge of Washington County in 1858. In 1857, during the Mormon Revolt, John D. Lee had a mill at Cedar Creek that supplied the ill-ated wagon train. Lee was captain of militia at Cedar City and president of the civil government at Harmony. Lee also became a member of the Territorial Legislature after 1857 and was an “Indian Farmer” in his area. In Indian Farmer was supposed to use U.S. funds to help the Indians learn to farm and supply their needs. It seems that the Mormons used the funds to get equipment for their own farming operations at U.S. Government expense. The plan for the Mountain Meadows Massacre, according to Judge Lee, was devised Aug. 28 at Washington City, Utah, by Legion General George A. Smith and passed down to command to Captain Lee to perform. Lee was promised that if he did this work, for the benefit of the church, he would receive the “Crown of Celestial Glory,” whatever that was. 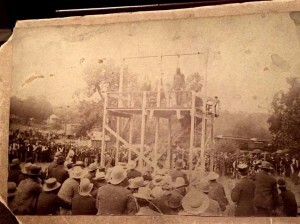 At Lee’s execution March 23, 1877, there were five executioners. Lee gave a long speech while the grave was being prepared saying that he hadn’t done anything wrong. On being shot, he fell dead on his rough pine board coffin, on which he had sat while the grave was being dug. On April 20, 1961, the First Presidency of the Church, authorized that Judge John D. Lee be reinstated to membership and former blessings. The proper ordinances were performed in Salt Lake City at the temple on May 8 and 9, 1961, reversing the excommunication done by his adopted father and brother, Brigham Young. A few months after Judge Lee’s execution, several Mormon leaders were fed arsenic trioxide when a meeting was held in Lee’s home district. Brigham Young had gotten enough to kill him. Because of Young’s unexpected death, he was unable to pass the control of the church on to his children. Since John Taylor took over, nearly a million dollars of church property had to be returned by the family in longŠdisputed court cases. You might say that Judge John Lee got revenge in some degree for being the only sacrifice to appease public clamor to punish those (over 500 people) who committed the butchery known nationwide as the Massacre of Mountain Meadows. So ends the story of the Latter-Day Saint and latter days of pioneer (Huck Finn), Judge John Doyle Lee. History of Missouri for background of the times, p.14; The 1838 Mormon was in Missouri by S.Z. LaSueur (Columbia 1987), pp. 138, 110, 172, 121, 256, 90; Ensign to the Nations 1846-1972 by R.R. Rich. In addition, Mr. Stark also used records of the Daviess County court, April 1837 to May, 1869.